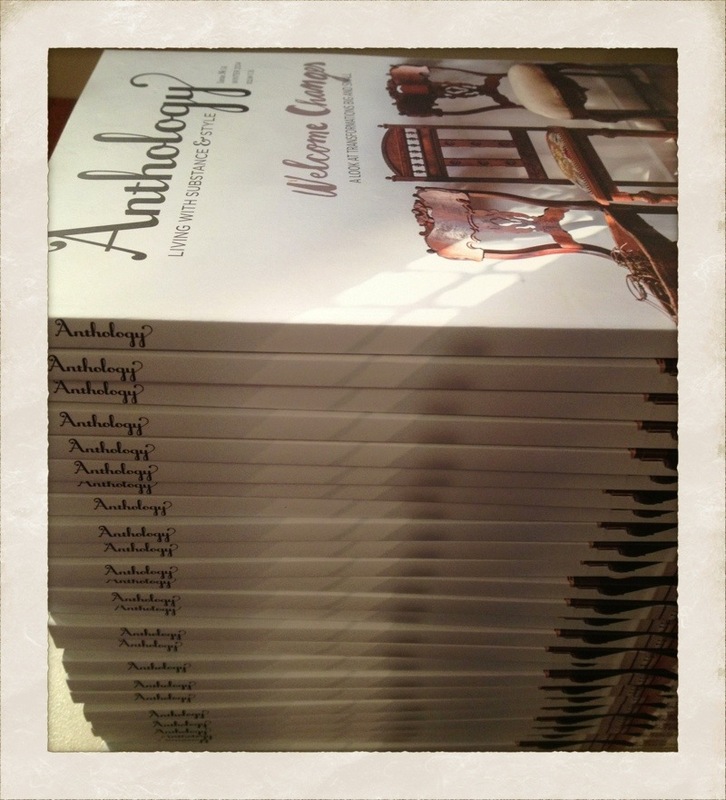 Always a bit of a happy dance when big stacks of the new Anthology arrive. 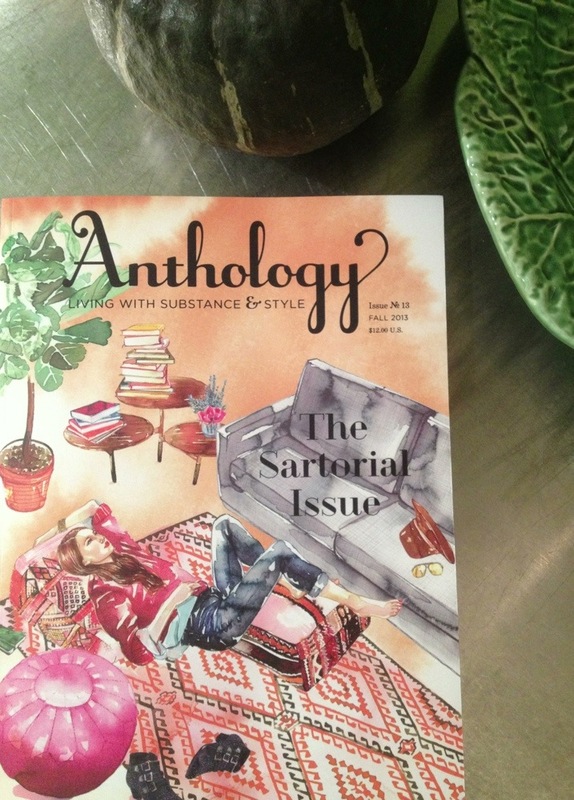 Print and pattern are the focus of this issue. Think wallpaper, curtains, fabrics all awash in a pattern of some sort. Color galore. Fun page after page. The perfect beach or back porch read. 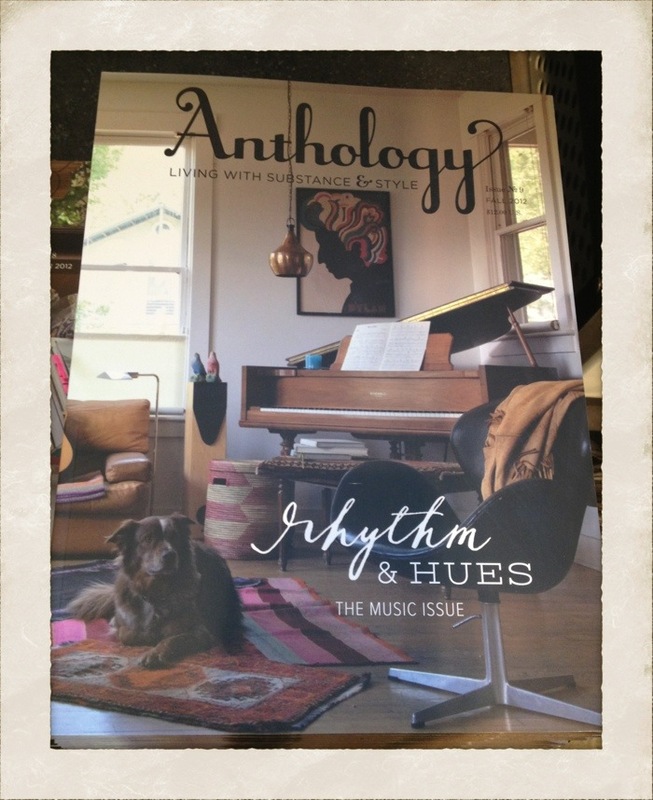 A new stack of the latest Anthology magazine arrived at the shops yesterday. Jam packed with great ideas. Like always. 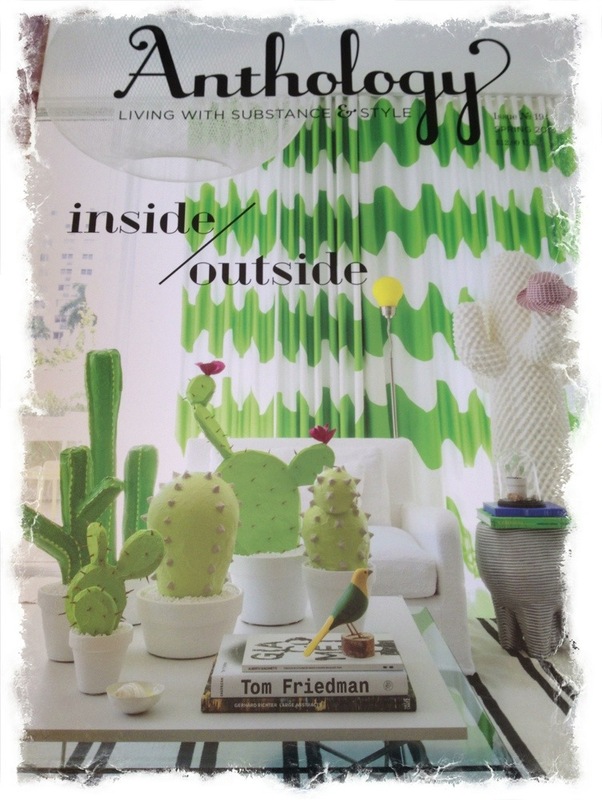 The theme for this issue is inside/outside living. Perfectly timed as we start enjoying meals alfresco and hosting gatherings outside. 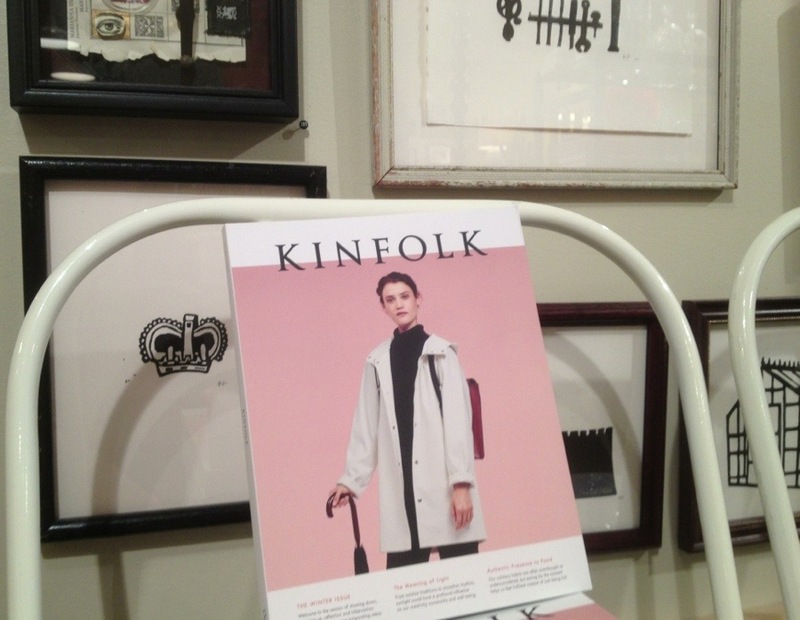 New issues of Kinfolk, Anthology & Gather arrived recently with big stacks at each shop. 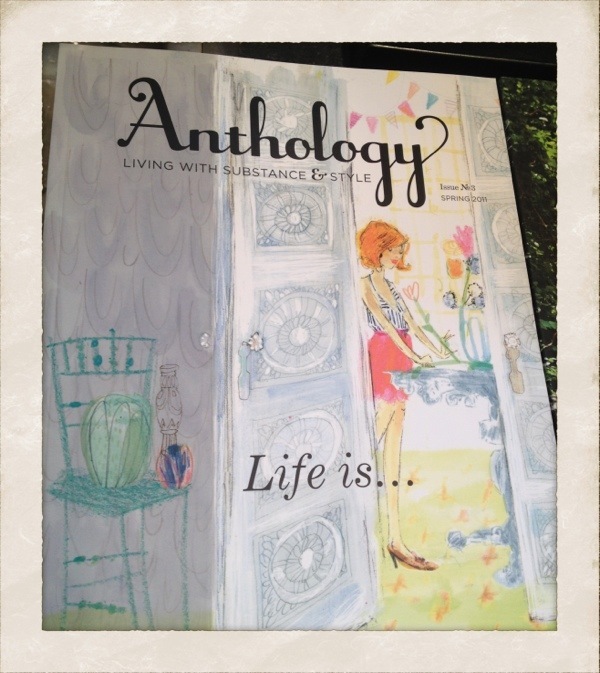 All 3 magazines offer differing points of view on a life well-lived. 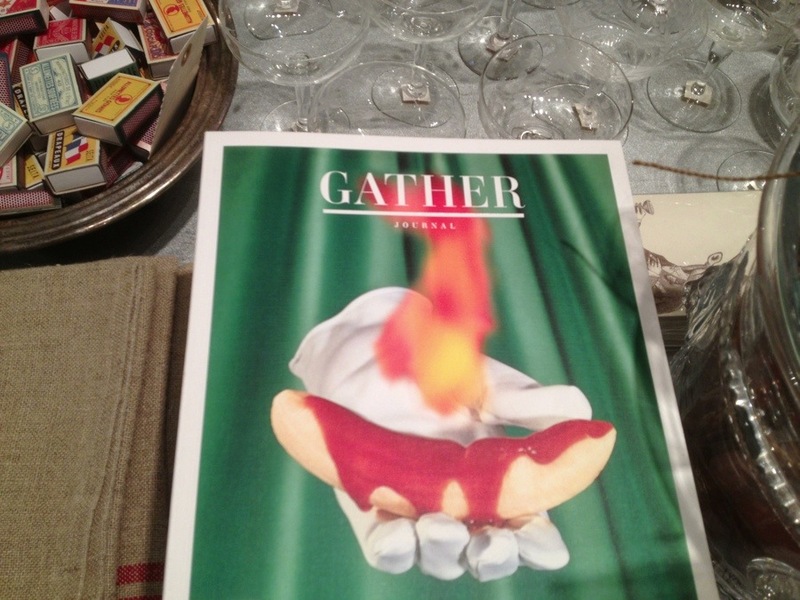 Art, design, cooking, entertaining, flowers–all are the creative focus for the differing publications. We also stock back issues so a little collection can be put together as well. These magazines are filled tons of ideas, all beautifully shot in each of their unique style. I think of them more like small design books really. Since we are in serious “gift” mode for the next month, these make stylish sweet gifts too. Just a reminder as I would love to see you if you are near the Pike Place Market today. Our Holiday Open House starts at 10 this morning and runs through the day until 6 in the eve at our shop in the courtyard of the Inn at the Market, at 86 Pine Street. We will be wrap, wrap, wrapping away. Libations will be served. A happy Saturday to you in your part of the world. 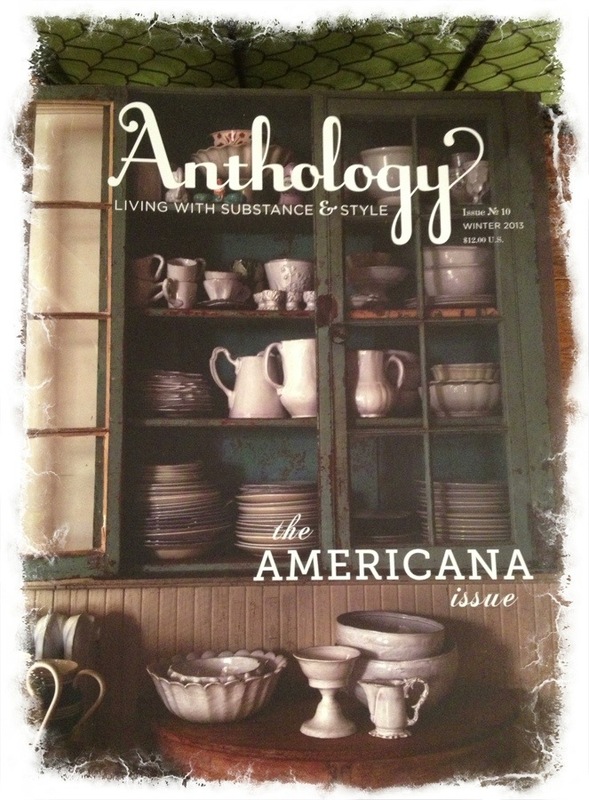 Anthology Spring Issue Has Arrived! Issue No.15 arrived yesterday. 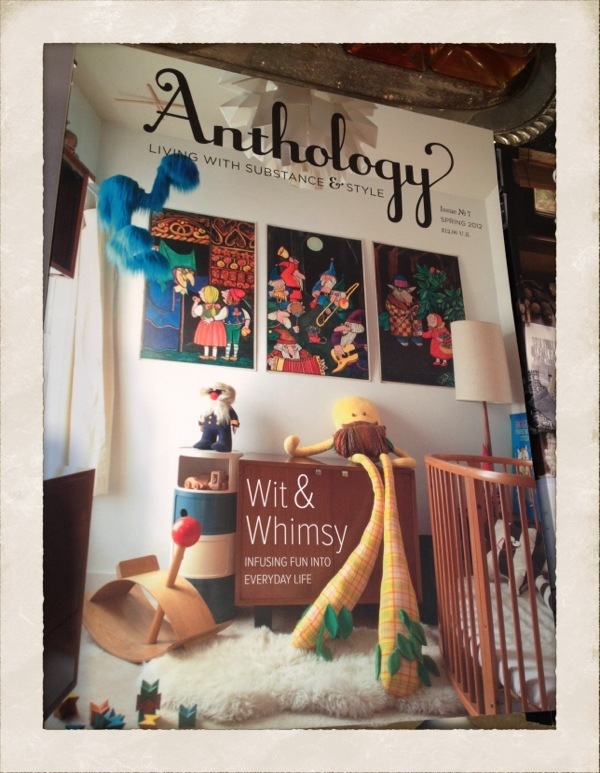 Always a happy day when a fresh stack of new Anthology magazines work their way into a display. ‘Style at Every Age’ is the prevailing theme in this issue. I love the whole concept and they have carried it through beautifully. Why should style be any less important as we age? Style evolves over time and the depth of our own personal style increases and becomes more of who we really are as we age. We know what we like. We have tried many things and have decided what we really like. We have made choices. Owning shops, I see so much fabulous personal style each and every day. My own mother who is close to 90 has a huge amount of personal style. This issue embraces that at any and every age. 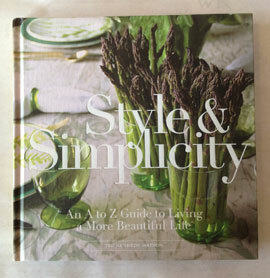 A big THANK YOU to Anthology for including Style & Simplicity in their book roundup, By the Book. Such lovely & kind words about my book. Merci, merci. As I wrote in an e-mail to my friend Elizabeth this morning, there is a big piece of my heart on every one of those pages. 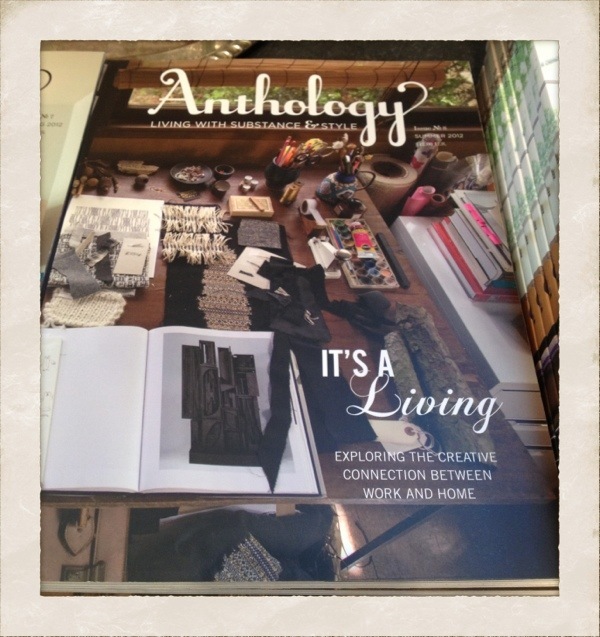 So fun to see the book among the stylish page of Anthology. Actually, make that new fresh stacks at both shops have been replenished. The initial delivery came while we were away, and we sold out of them almost immediately. This issue is that good. No.14 must be a lucky number, as the magazine seems to be really hitting its stride. 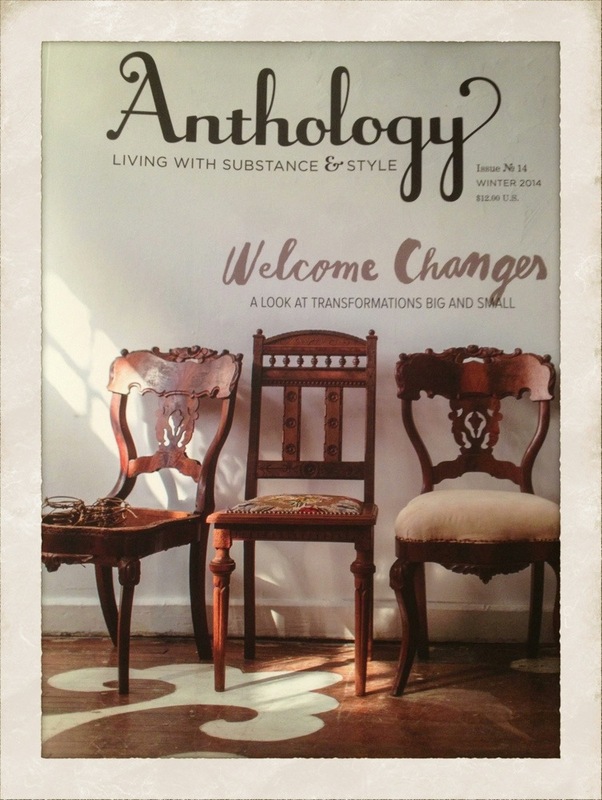 Welcome Changes, a look at transformation big and small, is the theme of this issue. A nod to the new year, starting with a fresh slate or canvas or home, as is the case here. 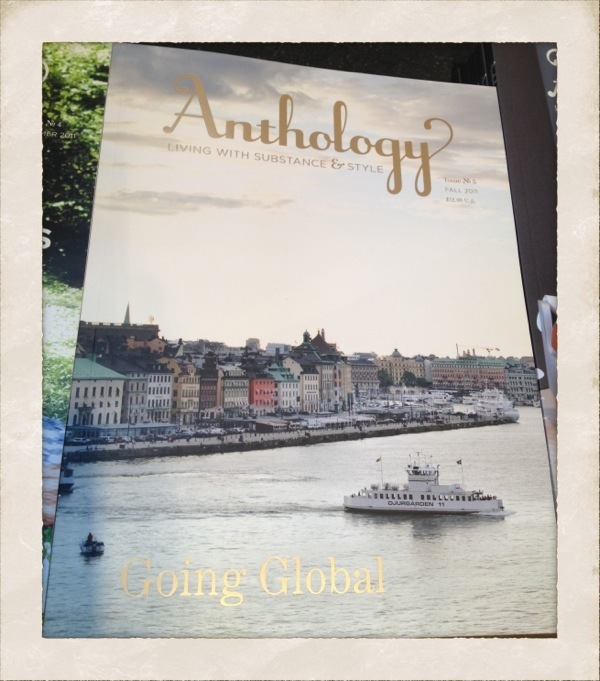 A big box with a big stack of the latest Anthology magazine arrived yesterday. 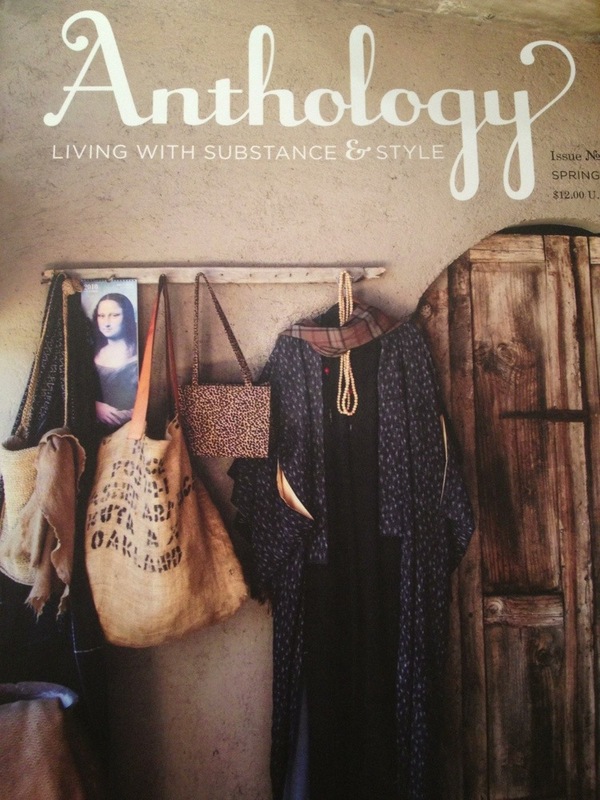 Issue No 13 centers around the lives and homes of folks in the fashion world. I quite like how they take one central theme and then run with it, creating a cohesive highly visual magazine that is about design + people. It is a personal approach that really works. We keep back issues on hand too. These are fun grouped together for a thoughtful gift for your design-minded friends. Happy start of November everyone! 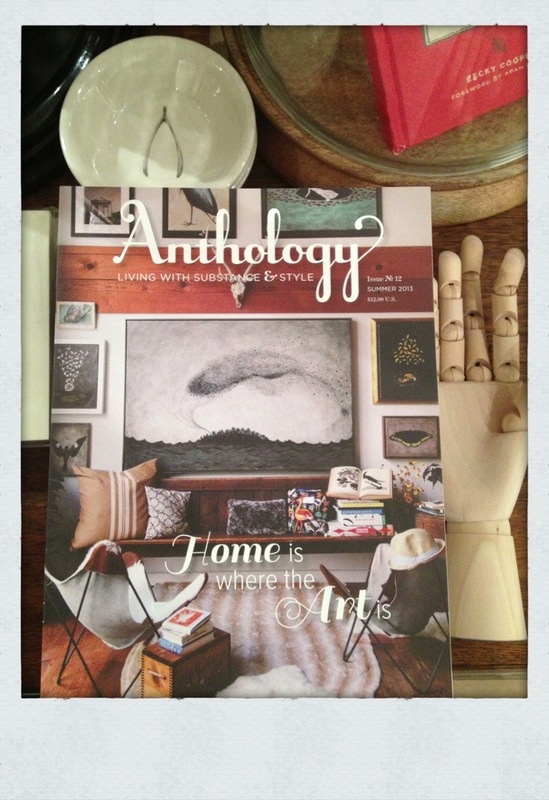 ‘Home is where the Art is’ is the tag line on the cover of the latest Anthology magazine that arrived this week. We have good sized stacks awaiting perusal at both shops. 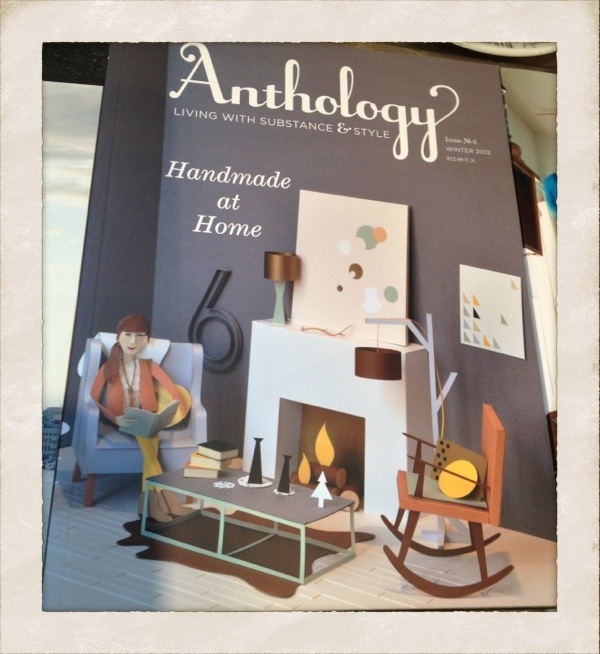 I really love this magazine, and I especially love this issue as the emphasis is living with art in your home. That is a concept so near and dear to my heart. Featured are many homes filled with art in very different ways, so you get tons of ideas. Art is incredibly personal, so it is so interesting to see how different folk display and live with their collections. Fab Summer reading. 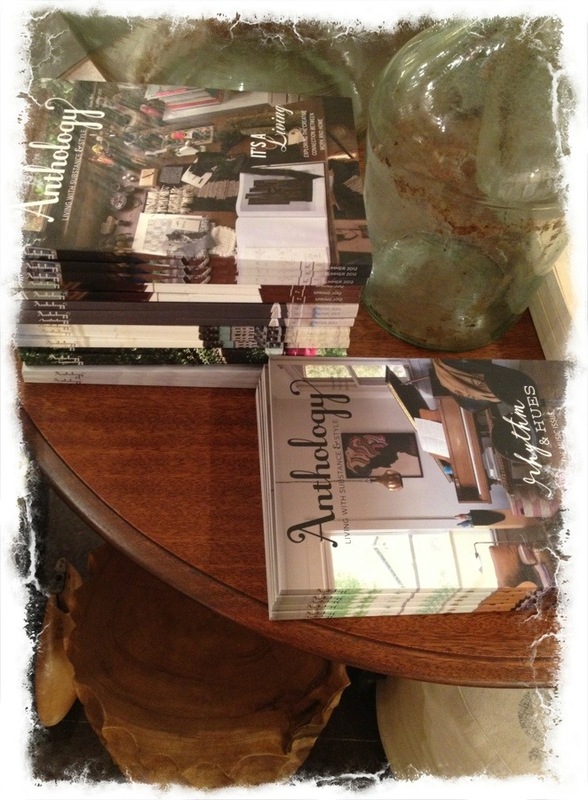 The New Anthology has Arrived! 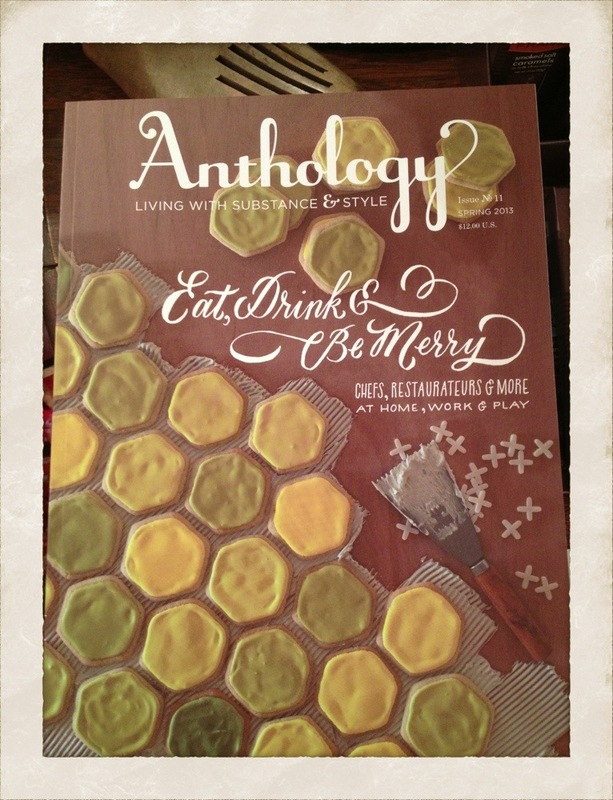 Oh my stars, the new Anthology magazine arrived last week and I completely forgot to write about it on a daily post. It has been one of those weeks… It is good, really good! It is a food-centric issue, revolving around chefs & restaurateurs. All done in the lovely unique Anthology style. 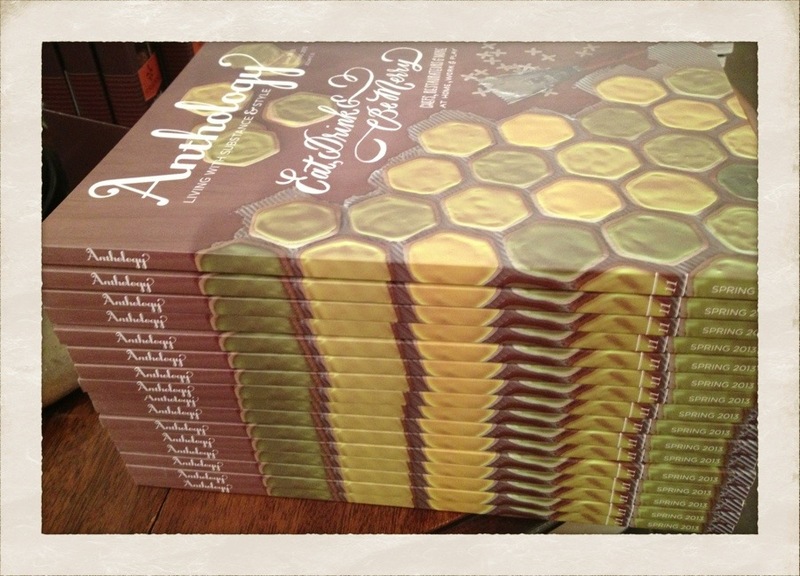 We have a big stack at both shops. We can ship them too. How is it Friday already? As I said, one of those weeks. Happy Friday all! 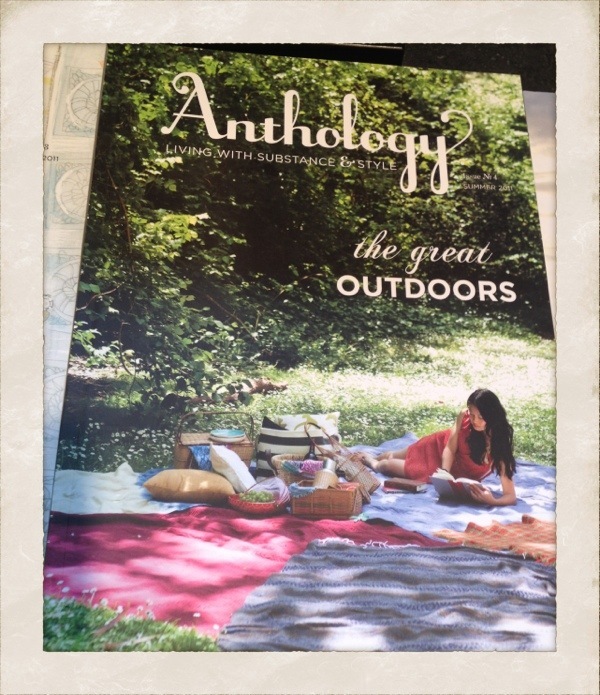 The latest issue of the fab magazine, Anthology, arrived at the shops this week. 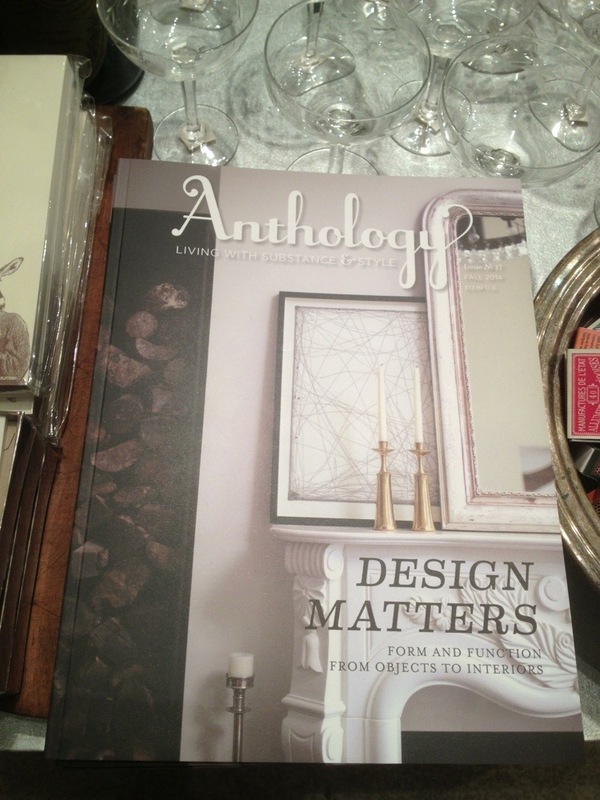 Americana is the prevailing theme, as this issue is filled with page after page of design inspiration. We also received another healthy stack of back issues, as these really are so great to collect and have stacked together for a leisurely afternoon of design reading and dreaming. A lovely Friday to each and every one of you. Happy February! 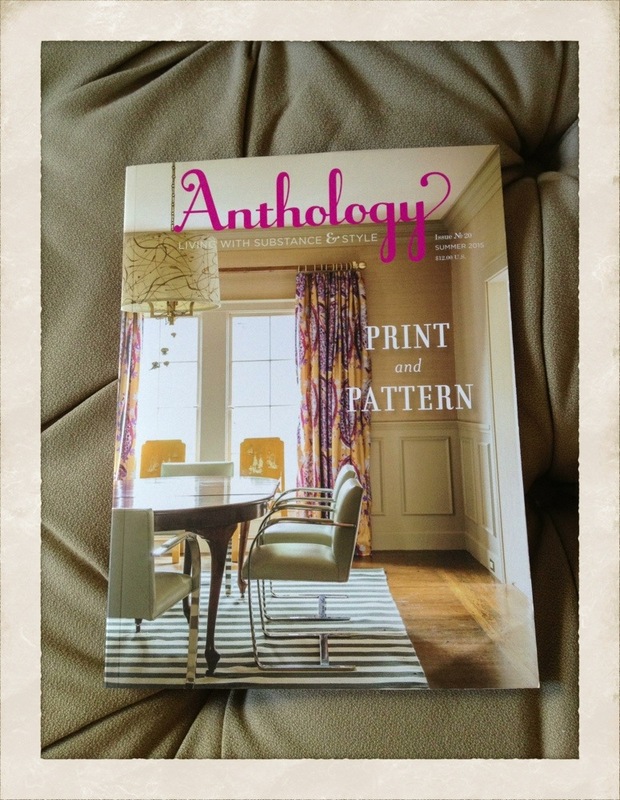 I am excited to report that we will be stocking issues of the fab magazine, Anthology, at Watson Kennedy. A hefty box arrived the other day with the new Fall 2012 issue, as well as a variety of previous back issues. 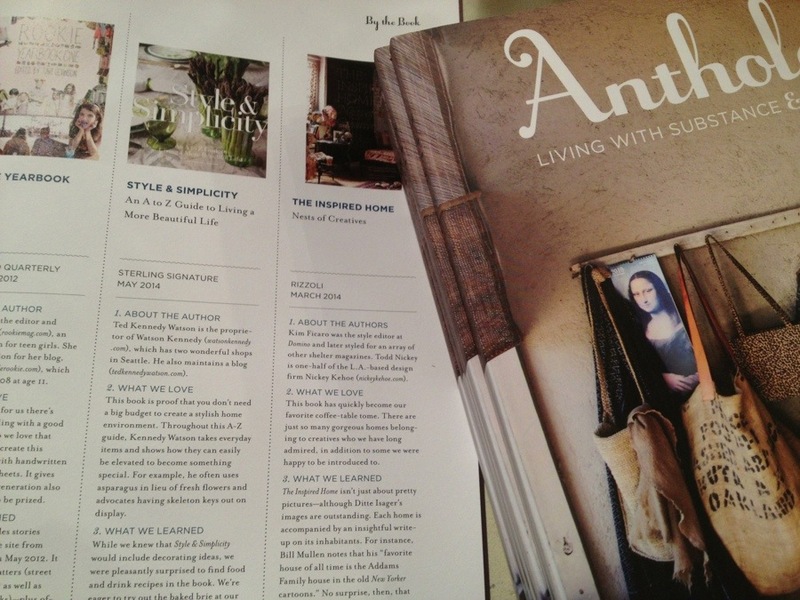 With a tag line of “Living With Style & Substance” Anthology is a magazine filled with page after page of design inspiration. I really love the heavy weight of the paper and the book binding style that makes Anthology a bit of a mini-book as much as a magazine. The reason I wanted to stock back issues is I thought these would make a great gift with several issues tied or wrapped together. They have found a good home at both shops until they are snapped up. Who says print is dead. A lovely, restful Sunday to you all. We are headed to WestWard in a bit. I think I see a long nap and then roasting a chicken in my near future.